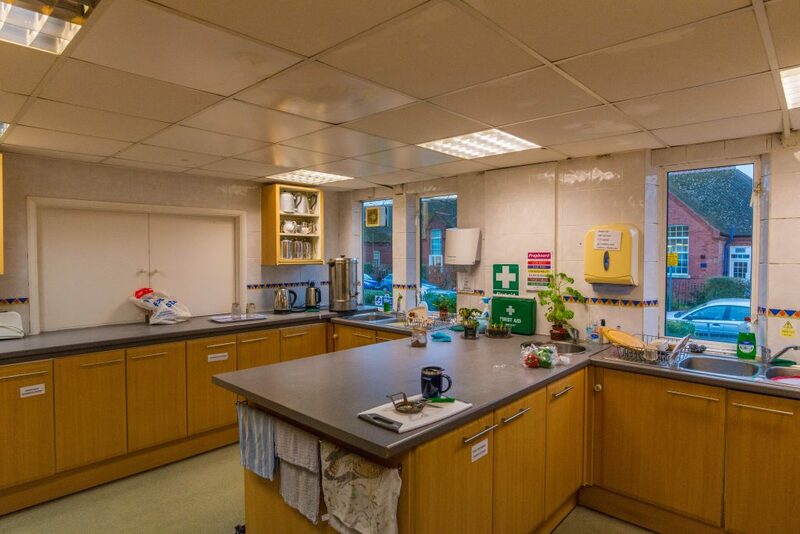 The kitchen is well-equipped with 2 sinks, ovens and hobs with a serving hatch into the Large Hall. There is plentiful crockery and cutlery etc. The cost of the Kitchen is included if you hire certain rooms.